Pure undiluted jazz, the kind that swings and bops and appeals to old-schoolers and new-schoolers alike. All-Star jazz played by All-Star musicians. Enjoy! 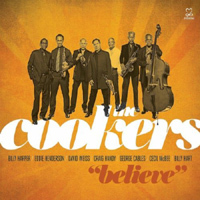 Jazz Supergroup, The Cookers, celebrate their fifth anniversary with a stellar third release, Believe, summoning summons a profound mid-60's spirit. 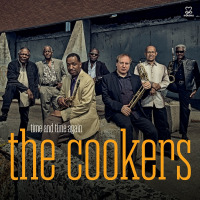 Featuring Billy Harper, Eddie Henderson, David Weiss, Craig Handy, George Cables, Cecil McBee, and Billy Hart. Believe, For It Is True; Temptation(s); Ebony Moonbeams; Free For All; Quest; But He Knows; Tight Squeeze; Naaj. Billy Harper: tenor saxophone; Eddie Henderson: trumpet; David Weiss: trumpet; Craig Handy: alto saxophone; George Cables: piano; Cecil McBee: bass; Billy Hart: drums.